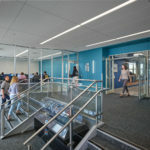 Existing ground floor lab space has been transformed into new collaborative learning paces including Small Group Collaboration Rooms, Computer Studios and a Small Group Instruction Room. 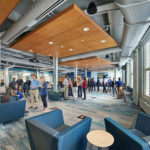 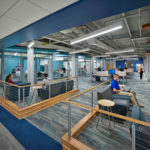 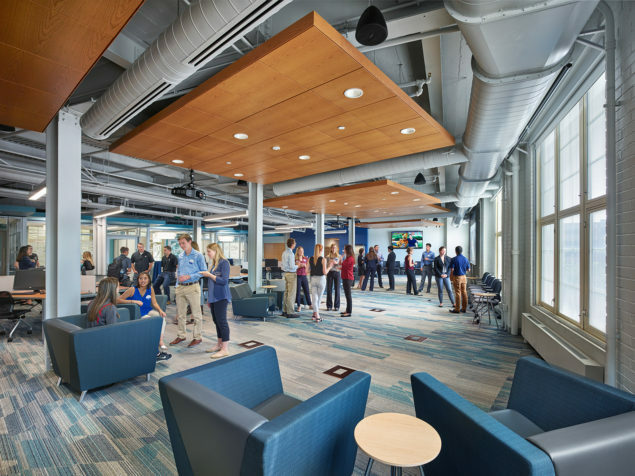 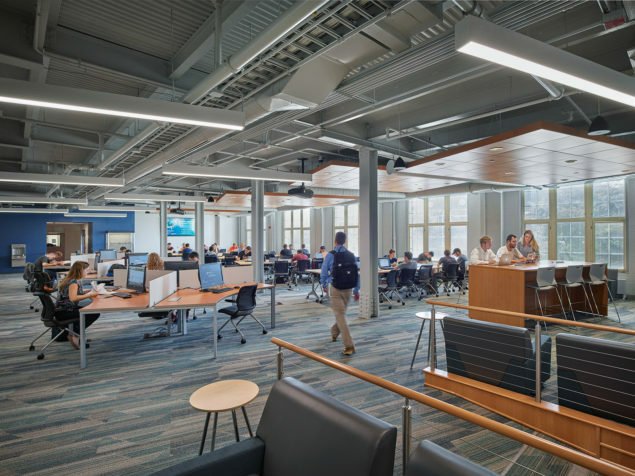 The smaller collaborative spaces are arranged around a 4,000 SF multi-use flexible Lounge outfitted with multiple seating and device storage options with easy access to integrated power and charging systems. 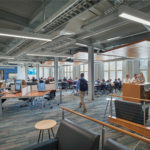 The majority of the E-Commons is constructed on a low-profile raised floor (LPRF) system incorporating a modular power and data infrastructure, creating a flexible platform to easily accommodate future changes in technology and furniture configurations. 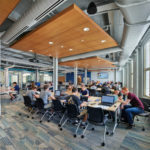 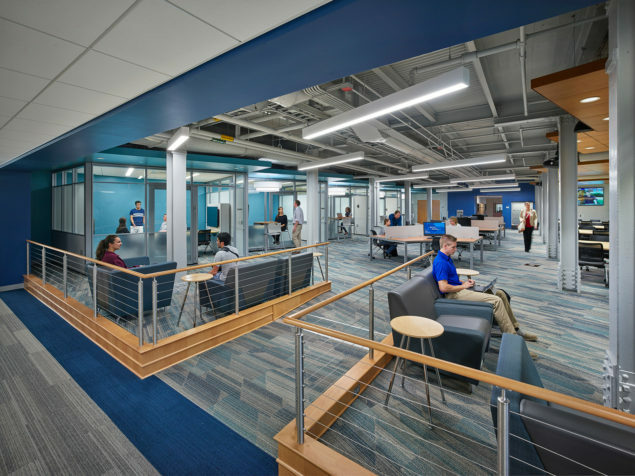 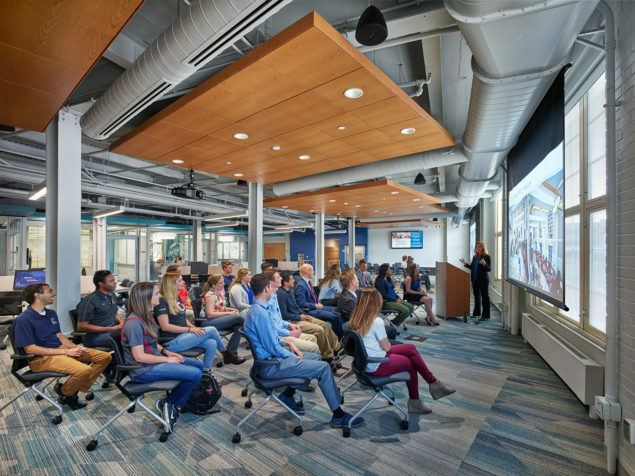 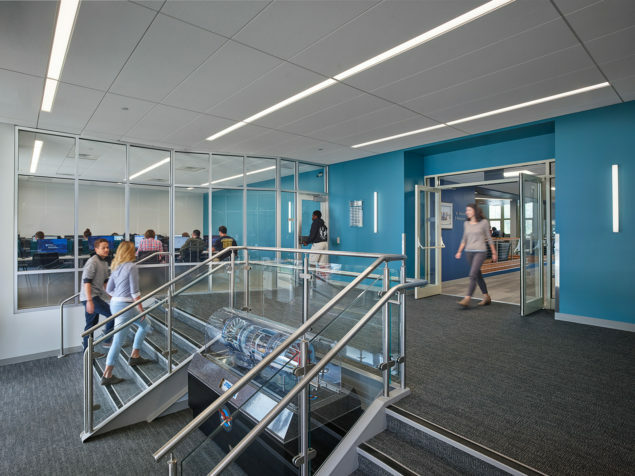 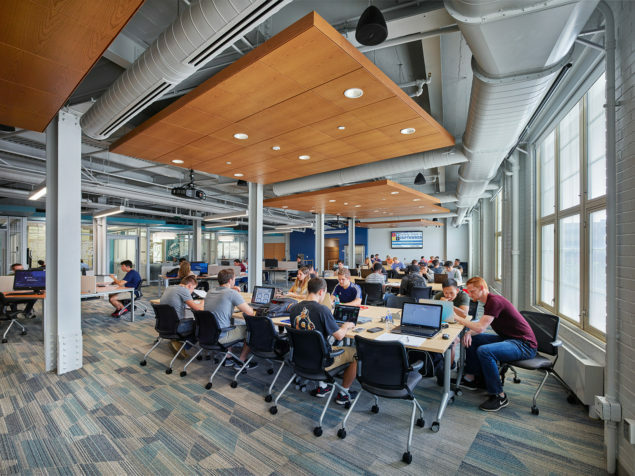 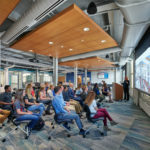 The Small Group Collaboration and Instruction Rooms are outfitted with collaborative furniture that permits students to not only work directly with each other, but also effectively engage in virtual collaboration.